For over 80 years, our goal has been to provide the highest quality roofing systems in New York, using only the best of current technologies and materials. Roosevelt Roofing knows how hard it can be to navigate filing an insurance claim. We will assist you and even provide direct links to top insurance companies. 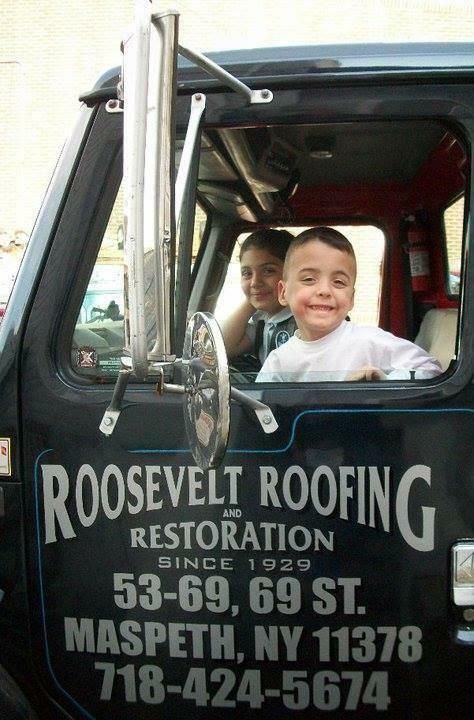 Roosevelt Roofing is one of the oldest and most respected roofing companies in New York. We have been in business continually since 1929. With more than 80 years of service in Queens and Nassau County, we have established a tradition of excellence, a record of quality and reliability. The majority of our business comes through customer referrals or from our repeat customers who appreciate our attention to detail and prompt service time and time again. Roosevelt Roofing is proud to be in operation for over 80 years. Since 1929, our goal has been to provide the highest quality roofing systems in New York, using only the best materials and current technology. Unlike many contractors who experience a high turnover rate, our key employees have been with us for many years. You will not find a more highly skilled and well-supervised workforce in the roofing industry. No job is too large, too small, or too difficult for us to handle. You can be sure that if you select us to help you with your roofing needs, you will be pleased with our work, our honesty, and our genuine concern for your best interest. We are committed to giving you outstanding service, superior workmanship and enduring quality by being the best at what we do and putting a great roof over your head. We invite you to have your next roofing project done the right way.